SoftPlanet makes it possible for everyone to get free WaveShop download directly from our servers. There is no registration needed for downloading. 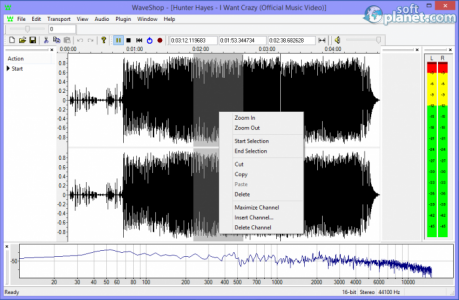 WaveShop 1.0.14.1 is a free-to-download, open-source audio editor and converter. 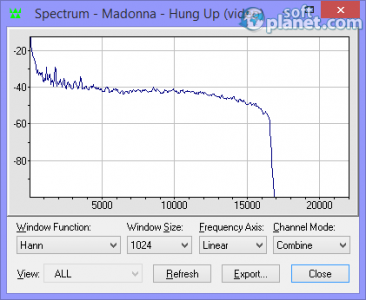 It is full of features and plug-ins that allow users to manipulate any audio file any way they want. You can enjoy the astonishing speed of this program because it uses PC memory to do all operations. 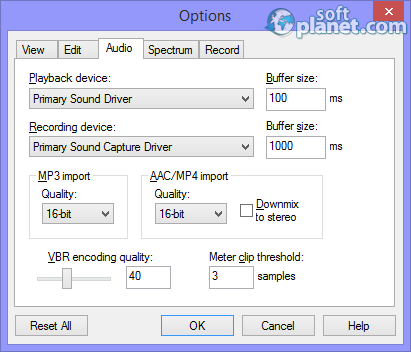 The final output file has the same quality as the original and on top of that most common audio file formats, like MP3, MP4, FLAC, AAC, OGG, etc., are also supported. Besides all audio features WaveShop also has many useful plug-ins like DJ EQ, Fast Lookahead limiter, Glame Bandpass, Highpass and Lowpass filters, SC4 and so on. The program is capable of normalizing, amplifying and fading; you can Copy, Cut, Paste, Insert and Delete fragments of the audio files. Bit-perfect is another great feature which means that samples are not changed needlessly. As we mentioned above you can export your files in any of the supported audio formats which means that this app is a perfect audio converter too. The program interface has nothing special, but the options and the features are. 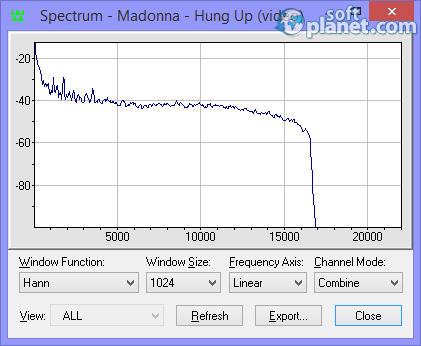 WaveShop can extract channels to mono files, convert the sample rate, record with no space limits, and so forth. Eight menus on top provide all the program functionality. Audio and Plugin ones are the most important, because almost all available utilities that the program has, are located there. Via the View menu users can show the Toolbar, the Status Bar and all other available bars like Volume, Results, Spectrum, Channel, Pitch, etc. Once you open an audio file in WaveShop its left and right channel waveforms are loaded in the middle of the screen. Then you can manipulate the file and at the end you can save it with a different extension. There is a very detailed help file which has complete information about how to use any function of the software. WaveShop 1.0.14.1 is a great application and if you have searched lately for such one, then you should stop. With its help you can be the man of the day and you can perform all necessary edits to an audio file that you may possibly need. Give it a try and send us feedback if you like it or not. Our security scan shows that WaveShop is clean from viruses. The current version of WaveShop has been scanned by our system, which contains 46 different anti-virus algorithms. That ensures that WaveShop 1.0.14.1 is 100% safe for your computer.